Coronary artery disease, also known as coronary heart disease or CHD, arises from the narrowing of the arteries supplying the heart, usually due to a build-up of plaque, a waxy substance comprised of cholesterol and fat. Initially, there may be no symptoms as the condition starts, but continued progress leads to more serious cardiac issues. Dr. Meshkov has years of experience assessing CHD risk and providing successful treatment plans for his patients. 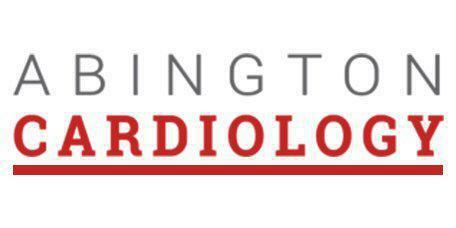 If you have any or all the CHD risk factors, call Abington Cardiology in Jenkintown, Pennsylvania to meet with Dr. Meshkov and his team. How are CHD and angina connected? Moderate to severe pressure or tightness in the chest, as though a heavy weight were pressing down, may be angina, a common symptom of CHD. The pain usually accompanies emotional stress or physical exertion, and usually goes away after a few minutes. In some cases, pain is sharp and felt elsewhere, such as the neck, arm or back. Stable angina follows predictable patterns and is treated with medication, such as a nitroglycerin tablet dissolved under the tongue. Unstable angina, particularly with a quick onset, usually indicates a more serious case of CHD. Does CHD have symptoms other than angina? Some CHD patients have no symptoms at all. This is called silent CHD, for obvious reasons. Until arrhythmia, angina or heart attack occur, there may be no indication of any compromise to heart health. Those who have risk factors contributing to CHD may wish to monitor their hearts under the care of Dr. Meshkov and his team. Shortness of breath may arise from CHD. Since the heart can’t supply enough blood to the rest of the body, the feeling of being out of breath arises, as the body calls for more oxygen. This may be accompanied by excessive fatigue with minimal exertion. When a coronary artery becomes completely blocked, a heart attack occurs. It’s possible that heart attack is the first symptom of CHD, so if you carry any of the risk factors, see Dr. Meshkov for a complete evaluation.